When will be Life in the Air next episode air date? Is Life in the Air renewed or cancelled? Where to countdown Life in the Air air dates? Is Life in the Air worth watching? Documentary series exploring the remarkable animals from around the world that take to the air. In Africa, a caracal's 'rocket-propelled' launch enables it to catch birds in flight. In the Australian outback, a kangaroo's hop is key to finding water in a desert of over a million square kilometres. On an English farm, an insect's ultimate ejector seat accelerates it to 700G with help from a clutch in its crotch. And high above the jungles of Borneo, a leaping snake's unique shape allows it to glide, even without wings. This episode looks at powered flight, revealing why peregrine falcons can top 200 miles an hour, how a hummingbird is a slave to its own rather manic lifestyle and that the albatross's secret to flying for free is its nose. Heavyweight beetles break the rules to find love, a devious sparrow-hawk uses agility to execute a lightning-fast raid on his prey and half a million mother bats dominate the sky above, and below, the ground with a dazzling display of aerial prowess. Documentary series setting out to discover how animals effortlessly beat gravity to master life in the air, with the help from animals from around the world. This episode features a creature that creates sound out of thin air with the world's fastest courtship display and arguably the world's most aggressive bird. In a South American jungle, there's 'hunt and evasion' flying during the night, as bats and moths fight for the upper hand in one of the world's oldest arms races. Plus a camera films a giant flock to unlock the secrets that keep half a million birds from colliding in the same air space. 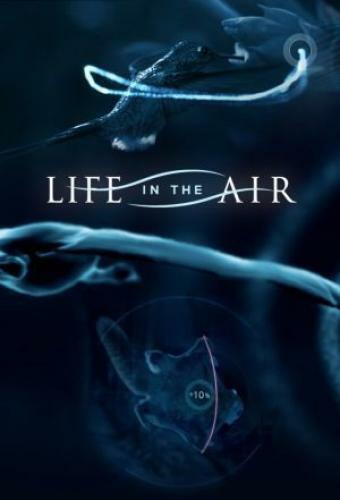 Life in the Air next episode air date provides TVMaze for you. EpisoDate.com is your TV show guide to Countdown Life in the Air Episode Air Dates and to stay in touch with Life in the Air next episode Air Date and your others favorite TV Shows. Add the shows you like to a "Watchlist" and let the site take it from there.